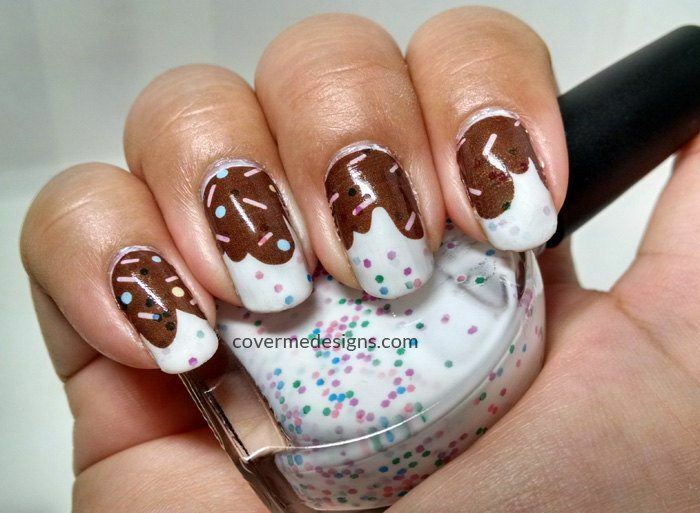 These 26 Foodie Nail Art Designs Will Make You Want To Bite Your Nails! 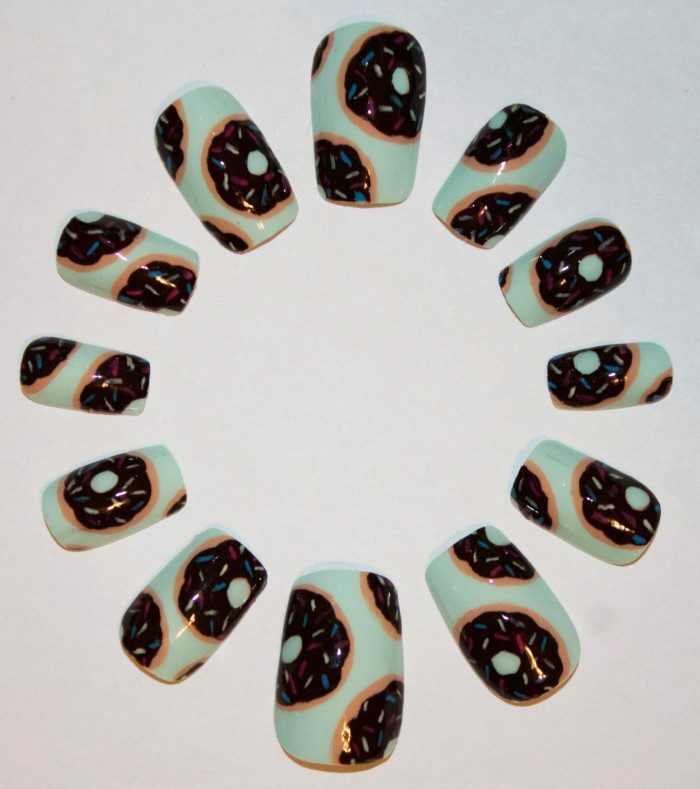 Nail art is a large area and the selection on Etsy certainly doesn't disappoint. 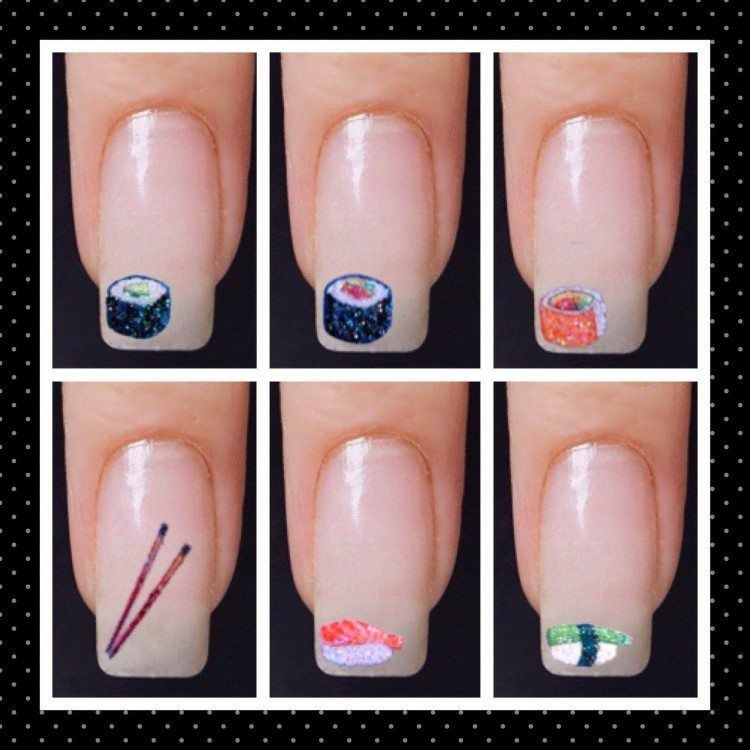 To be honest, I didn't know all that much about nail art before I started looking into it for this list but now I can certainly see just how many different options there are. 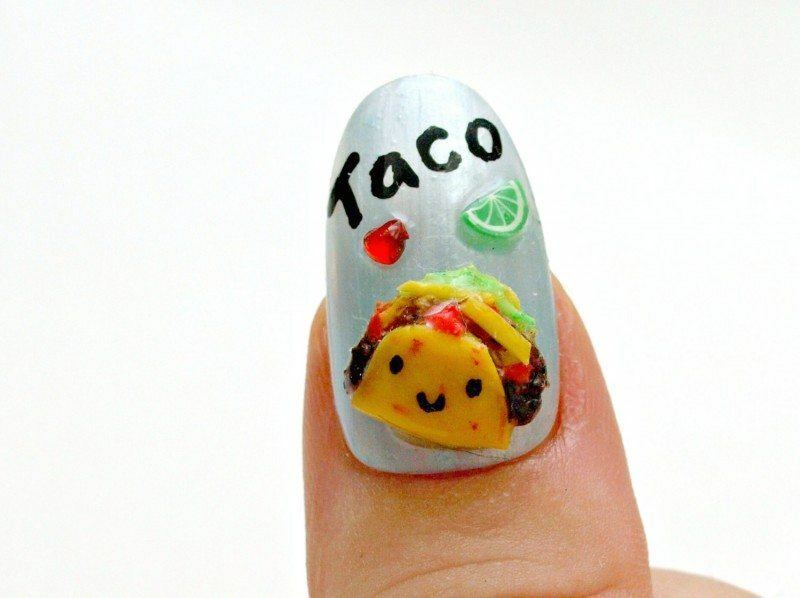 At Food For Net, we are all about food, so with that in mind, this list focuses on nail designs that are inspired in some way by food. You might see the same themes pop up multiple times, but I have focused on highlighting the variations in styles and in themes as much as possible. 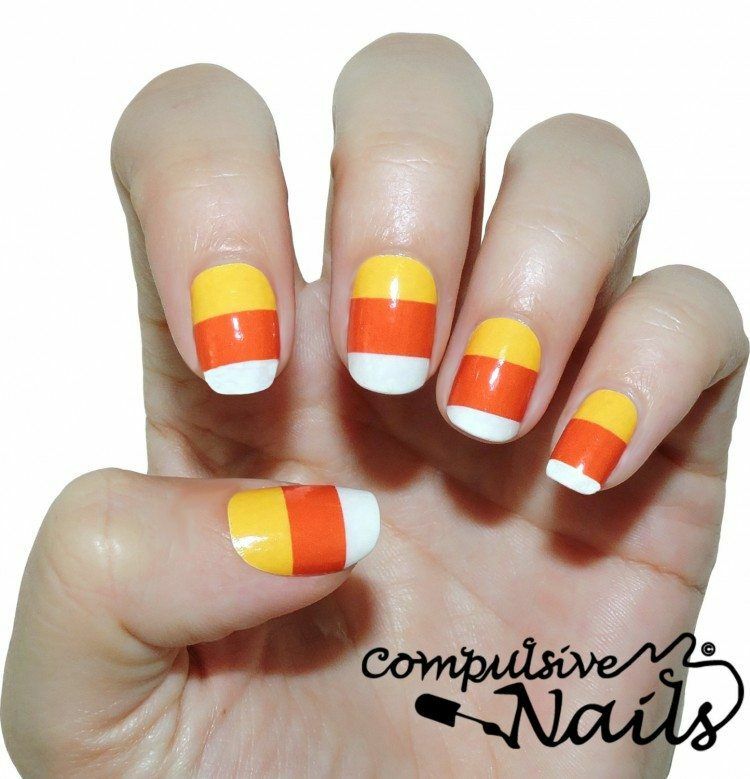 These false nails are certainly unique and they're a great choice if you want to make someone look twice. Or if you're a fan of tacos, of course. 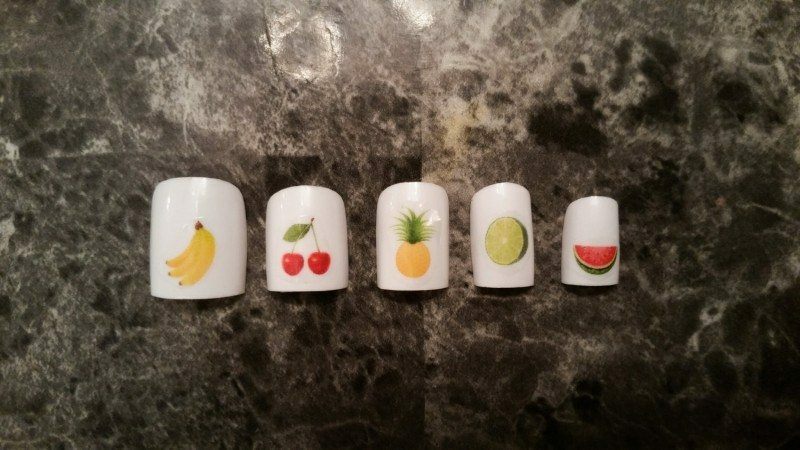 These fruit images for nails might be simple, but that doesn't make them any less appealing. 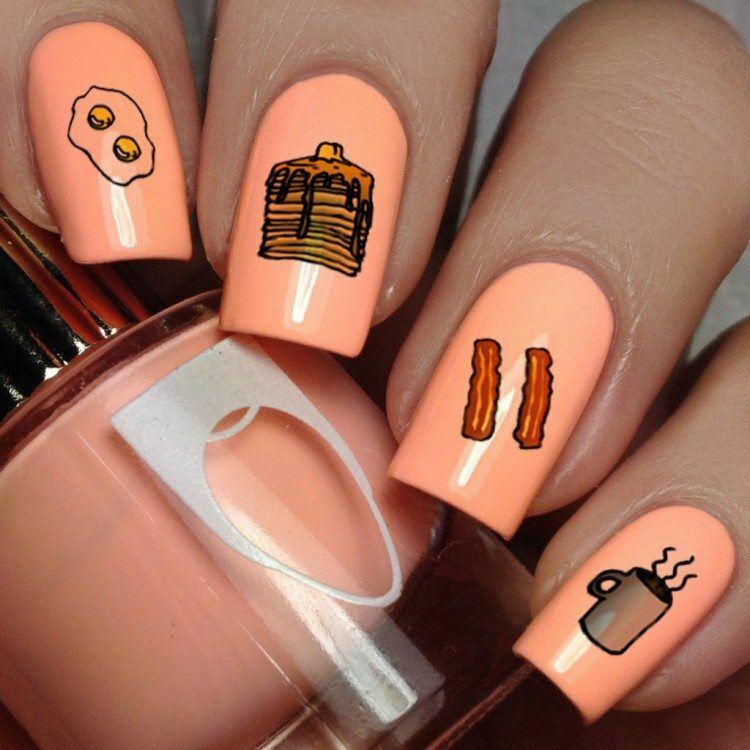 Only the nails on the left are food-themed, but they do look cool. 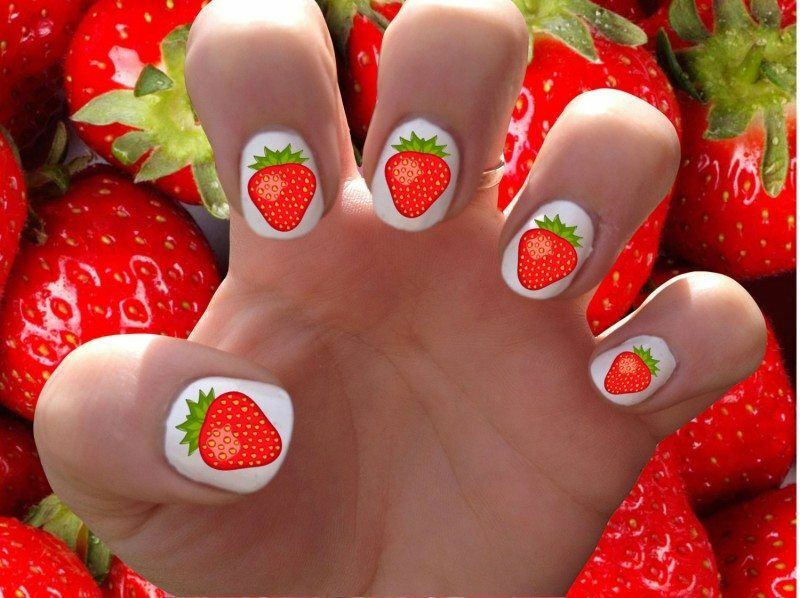 I especially liike the strawberry one. 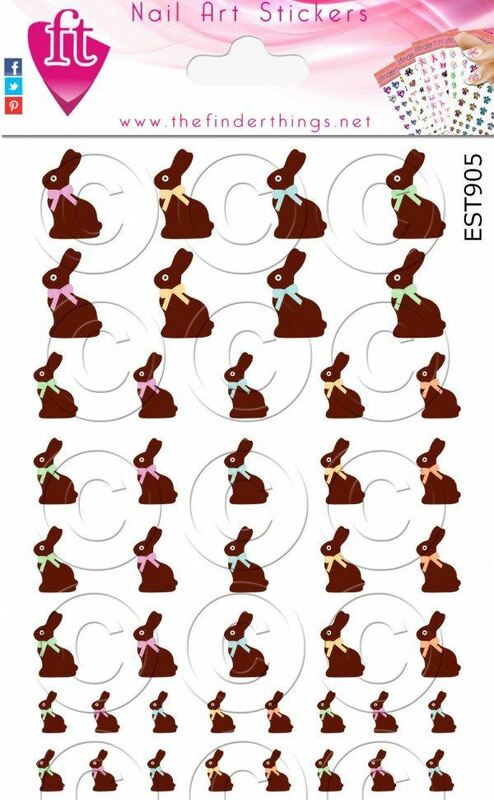 We're still a way off Easter, but these chocolate bunnies are a good reminder. 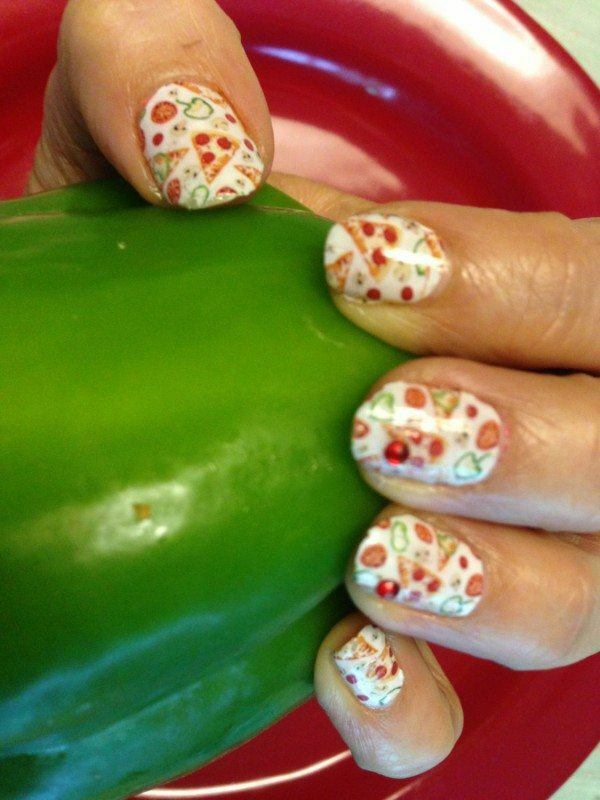 With this nail polish the food theme comes from the color. It really does remind me of mocha or chocolate though, don't you think? The combination of relatively simple colors and a few embellishments works really well for these unique false nails. I love just how bright and cherry these nails are. 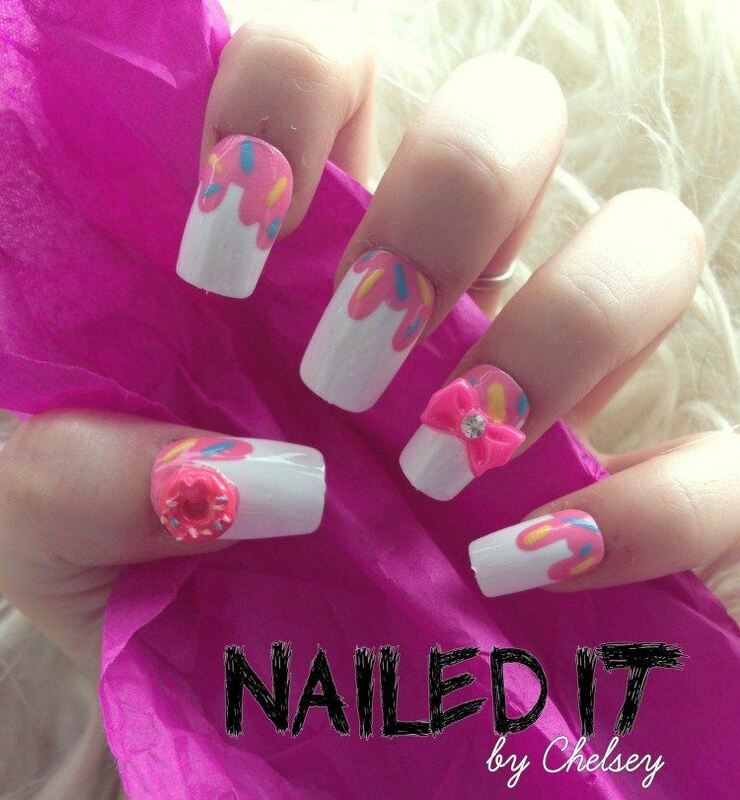 You would really stand out with these nails, so hopefully that's what you want. These false nails certainly have a lot going on, but honestly, that's kind of cool. 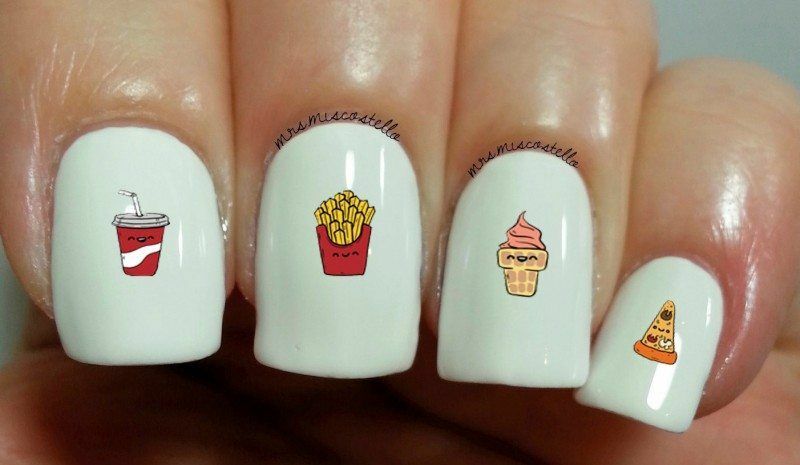 Nail transfers are a great way to customize your nails effortlessly and this pack is pretty cool if you want junk food on your fingers. I really love the contrast with these nail decals. They look fantastic against silver nail polish and they are a pretty unusual style. I really do like the color with this set of nail wraps. It's just that little bit different. It's pretty easy to see where this nail design gets its inspiration from and I think that the end result just looks fantastic. Pizza pizza pizza. 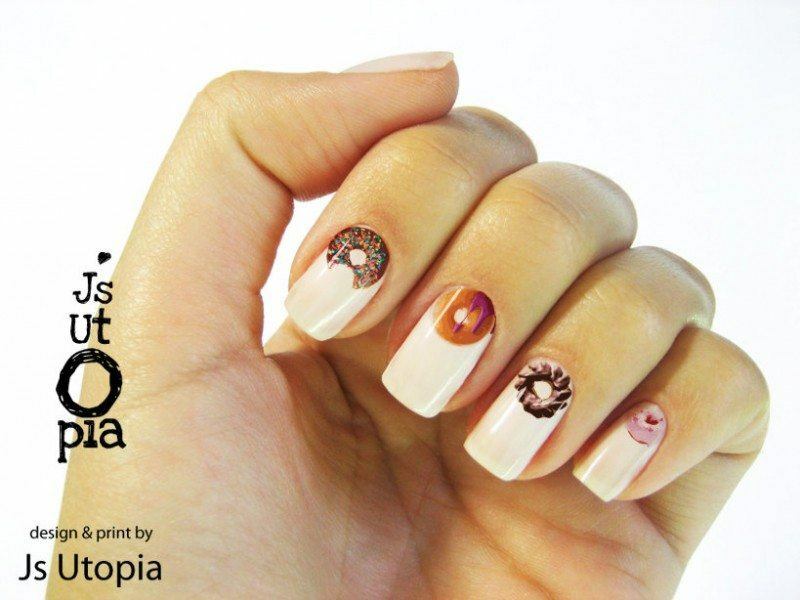 This nail design might seem busy at first glance, but it's a pretty cool design all the same. Sushi isn't all that common as a nail theme, which makes me love these ones twice as much. 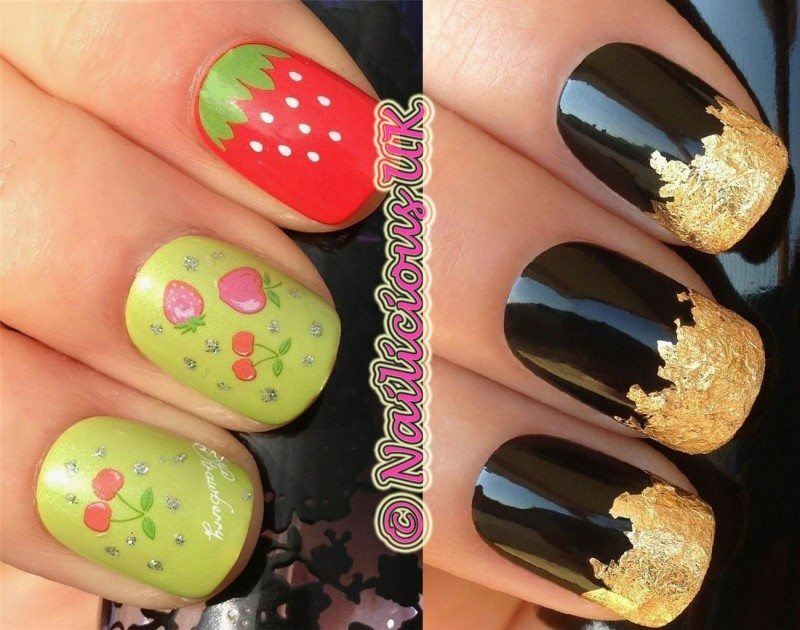 We might be in the wrong season for these nails, but who cares, they look amazing. 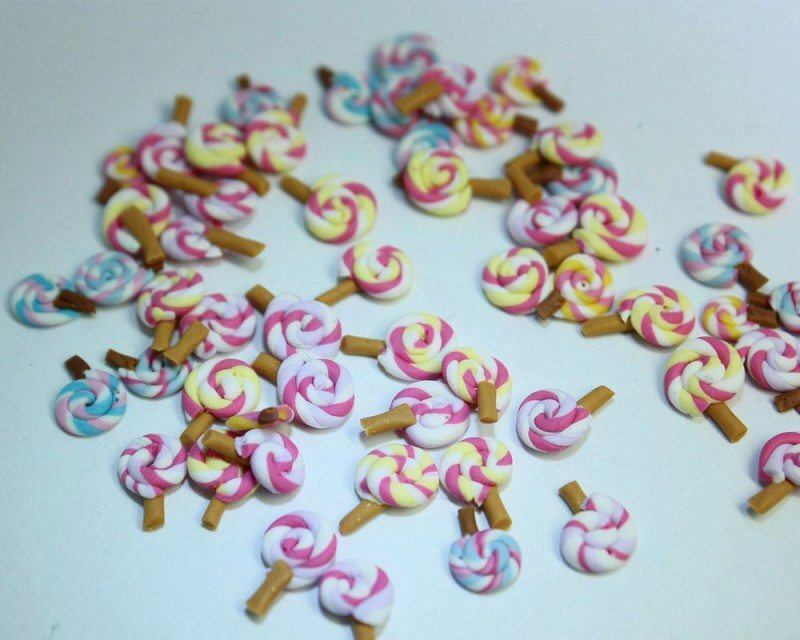 These little lollipops could be used for a lot of different things, but the creator does suggest that they could work really well on nails. Is breakfast your favorite meal of the day? 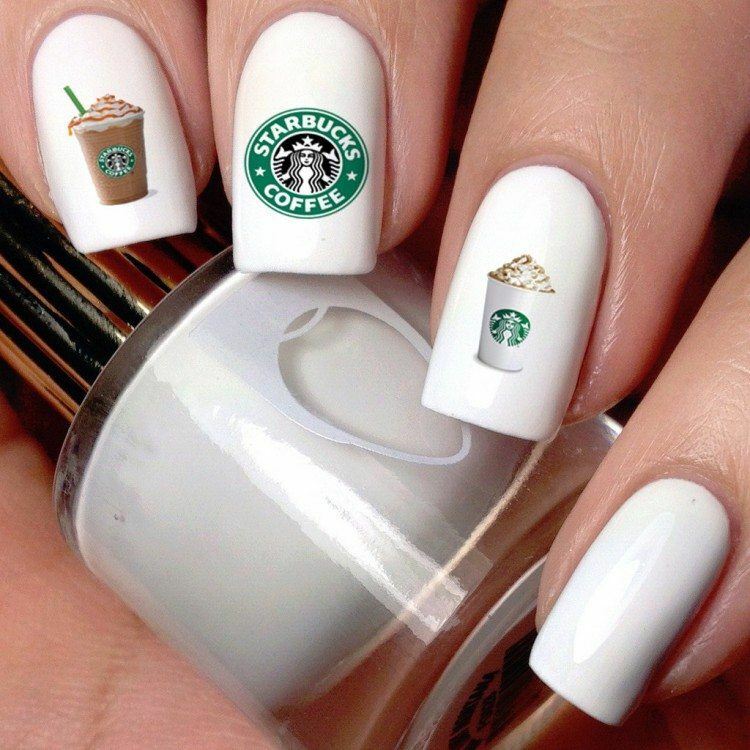 Why not show that off with your nails? Okay, that mightn't appeal to everyone, but still, the nails do look good. 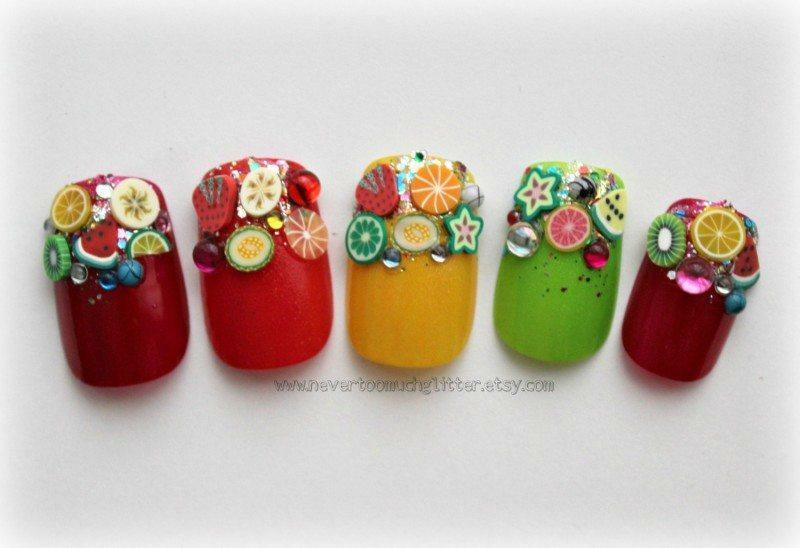 This nail set is a bit of fun and I love how the designs are similar for each nail, but never exactly the same. 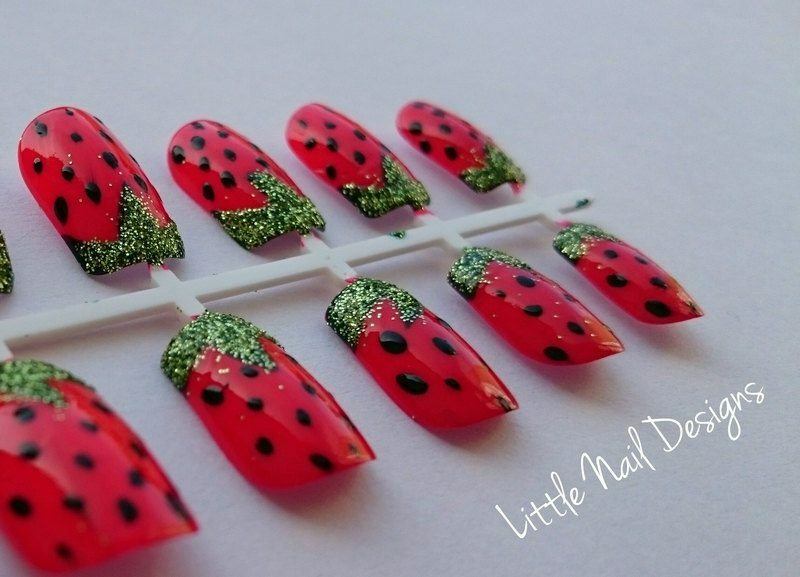 Hand painted false nails is a good idea and these ones are bright and bold, which could make them a whole lot of fun. 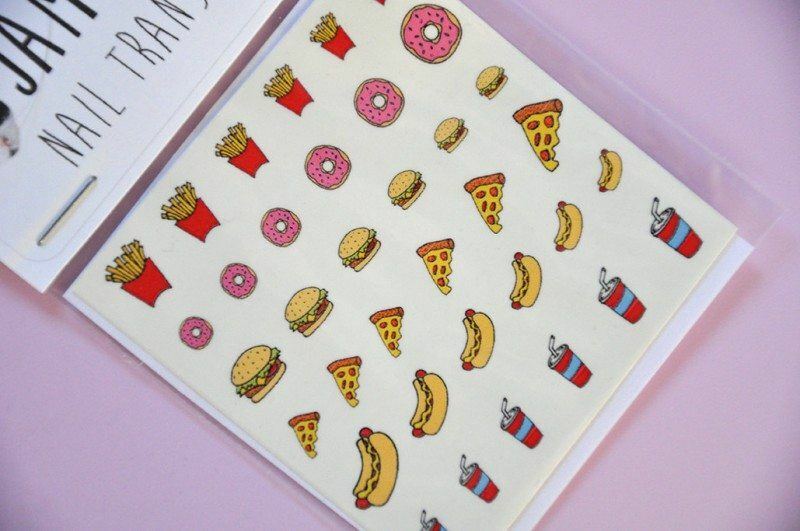 Here's another set of junk food decals. This time they even have faces, which I wasn't expecting. 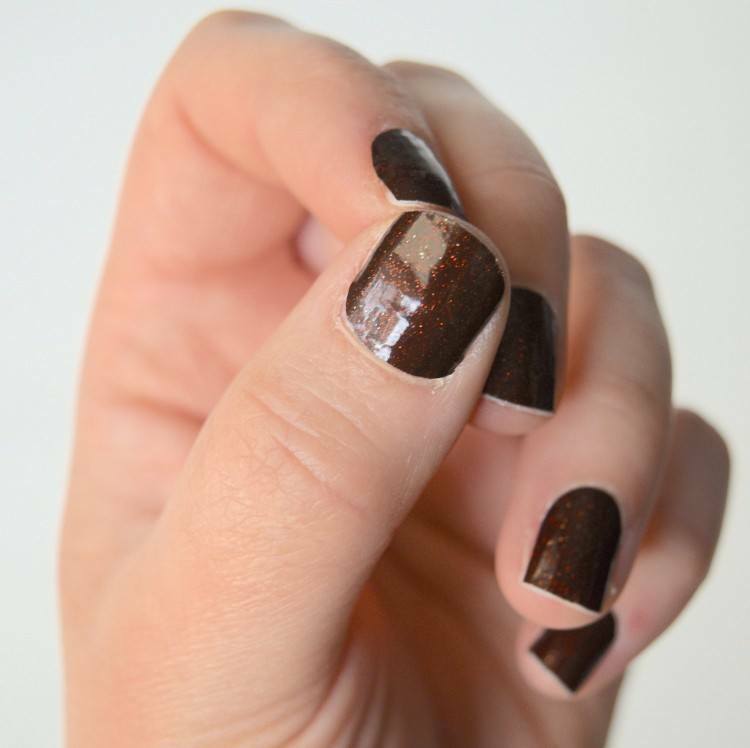 This set of nails is a nice balance between simple and complicated. The color choice is also interesting, but it seems to work well. These decals are on the small side, but that might be a good thing if you want something a bit more subtle. 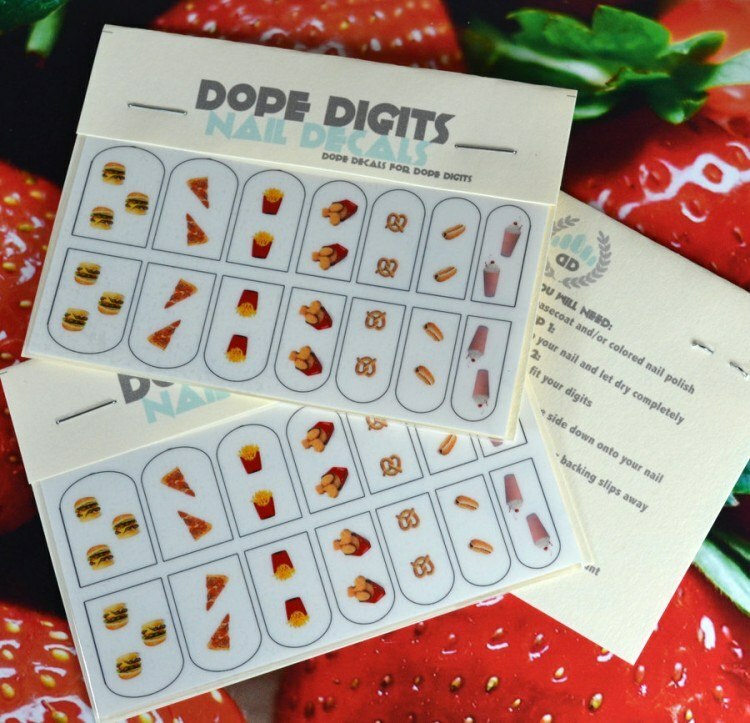 These donut decals are probably my favorite items out of this list. Don't they just look great? This one is another twist on the junk food approach, this time focusing on pizza. 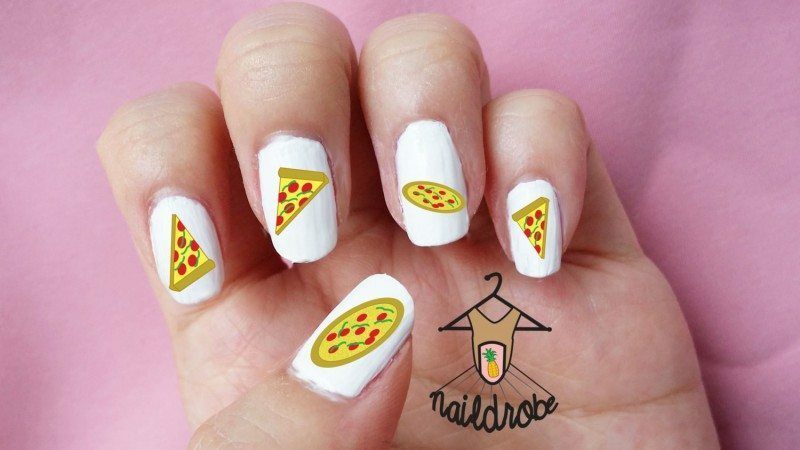 Perfect for the pizza lovers out there. 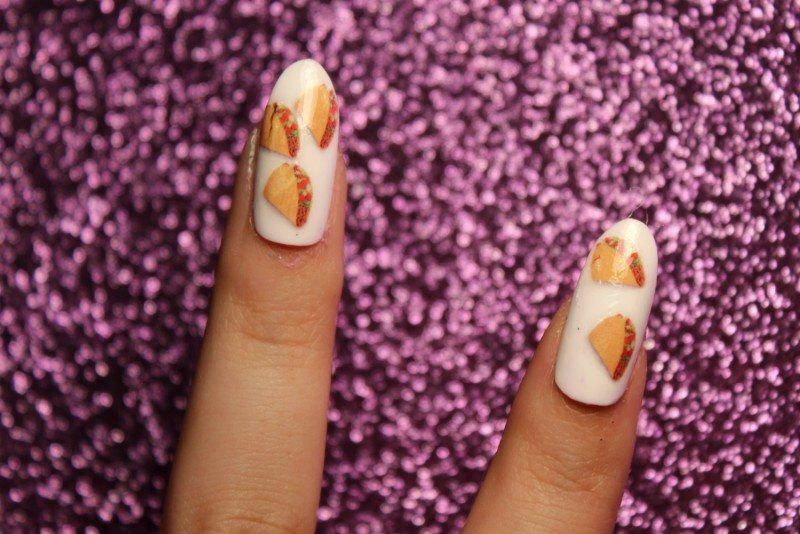 Finally, here is a simpler approach to putting tacos on your nails. 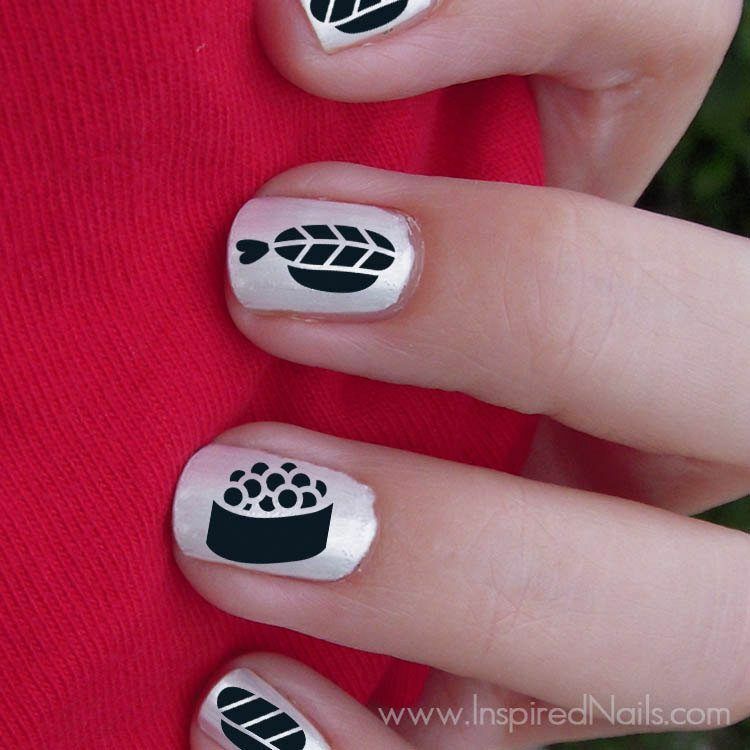 You are here: Home / Food Art / These 26 Foodie Nail Art Designs Will Make You Want To Bite Your Nails! 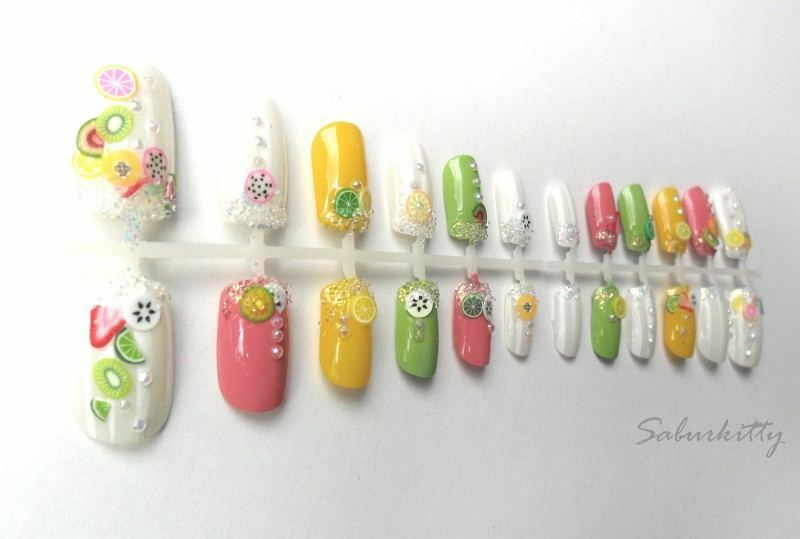 I love nailart design, it is awesome, thanks.